FactoryWiz is a pioneer in the “Smart Factory,” aka Industry 4.0 or IIOT. 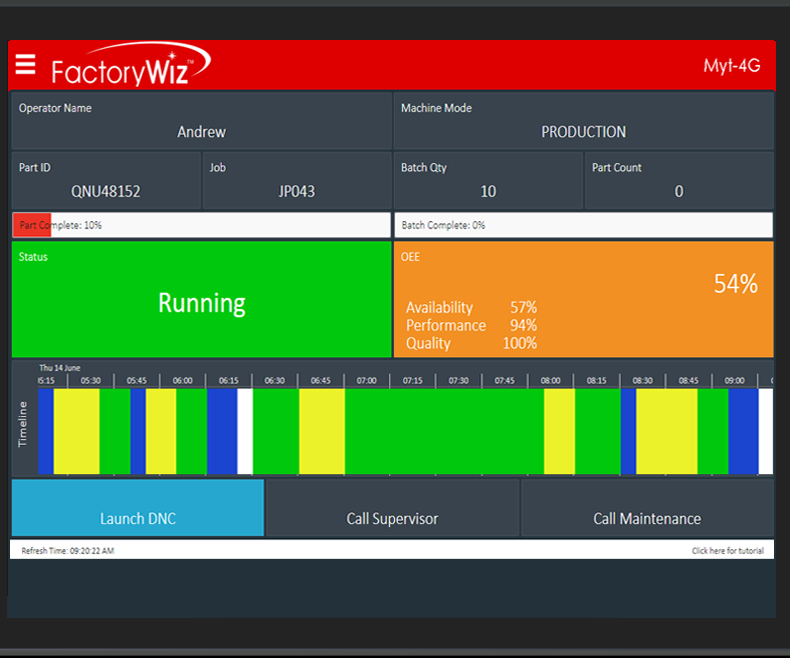 FactoryWiz Monitoring boosts productivity by collecting live unbiased shop floor data, creating baseline metrics and identifying process improvement opportunities. Vital CNC machinery and other production equipment status and reports are available 24/7 via the web.